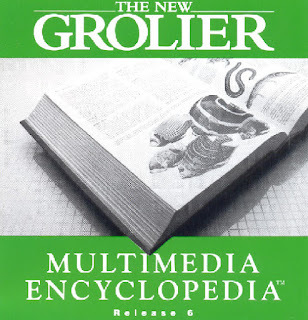 Sierra Discovery Series was a blanket franchise Sierra used for their games aimed for educational purposes. 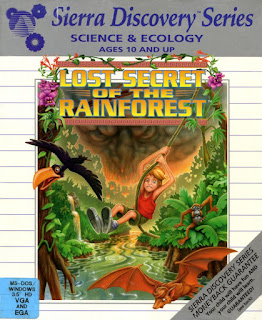 The games in the series were varied, some being about teaching maths, some about the history and on the case of EcoQuest games, environmental issues and biology. 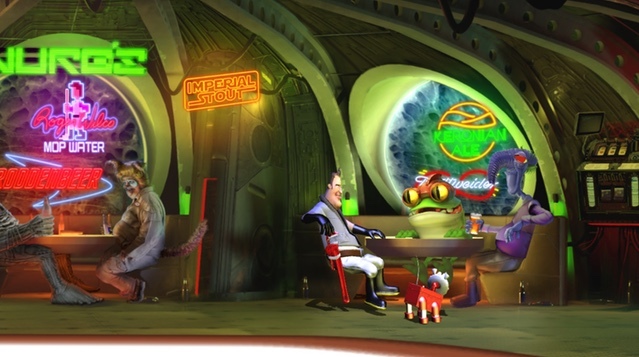 While the game types varied with the content, EcoQuest is a full-blooded mouse-driven point'n'click adventure. Adam Greene is a twelve-year-old son of a famous ecologist Noah Greene. At the beginning of the tale, Noah takes in a dolphin rescued from the net and Adam befriends it soon enough. To the surprise of the boy, the dolphin can speak and introduces himself as Delphinus. As Delphinus is getting better after his entanglement on a net, Adam lets him go from the aquarium. Days later, Delphinus returns to ask help from Adam. The great king of the ocean, a whale Cetus, has disappeared and because of this, there are problems arising in the underwater kingdom. There are problems with pollution, evil creatures and general disorder and Delphinus thinks Adam could help him with the search of the missing king. Luckily enough, Adam is a certified diver so he can join the underwater quest. After finding their way to the underwater lost city, Adam has to first win the trust of the inhabitants of the city as well as spend some time cleaning up the environment. There is trash everywhere because we humans have a tendency to just throw stuff away. In a form of puzzles, Adam learns stuff about how oceans are protected, what kinds of creatures live under the sea and how pollution can affect the frail ecosystem of the ocean. 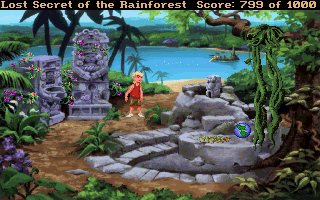 As you might imagine, the puzzles are fairly simple in contrast to the regular adventure games Sierra published. The logic is more sound and unlike in most other Sierra games of the era, you can't die no matter what you do. These simpler puzzles and a forgiving structure makes The Search for Cletus a more ideal game for younger audiences. The second part in the EcoQuest series takes Adam to South America with his father, who is there to help the Ecology Emergency Network. This time a couple of talking otters whisk Adam to an adventure of helping the rainforest and the mythical Forest Heart the renew itself. This time around Adam learns stuff about the rainforest and the varied flora and fauna of it. And he also learns how humans exploit nature by logging large areas, polluting the environment with their indifference, negligence and oil drilling. In the first game, the bad people were more of a narrative gimmick where they were not shown. Even when Adams actions resulted in an arrest of polluters, who were dumping barrels of toxins in the ocean, those people were never shown. This time around, we have an evil corporate type roaming around, looking for the lost city of Gold at the same time Adam is trying to locate it to get a new sapling for the Forest Heart. Like the previous title, Lost Secret of the Rainforest is a point'n'click adventure, where the puzzles are helping you to learn more stuff about the environment as well as its protection. Unlike in the first game, Adam now has a handheld computer that can be used to scan things for more information. 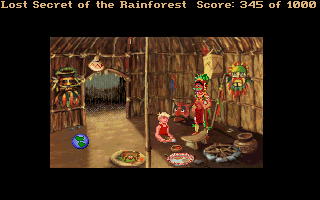 The computer also has a simple quiz program, which can be used to see how much you know about the rainforest. The results can also be printed out for further reference. The EcoQuest series was an interesting attempt in making games to teach kids and teens about the dangers our ecological system can face. While the stories in them are silly, the things they have to say about environmental protection and environmental preservation are even more important today than they were in the '90s. 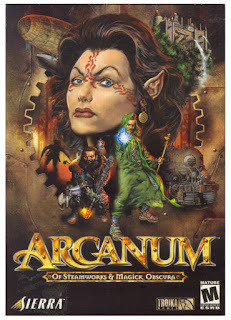 What I find even more interesting is, that a big company like Sierra was doing these kinds of games in the '90s. It clearly shows how wide net they had in comparison to many other big modern game publishers, who do things by the metrics, where the consumers are fed the same kind of porridge with each game. While these were games aimed to make a profit, they also were targetting a very unappealing branch of games for most publishers: educational games. I say unappealing, as doing educational game takes an entirely different mindset in bot developing it as well as in selling it. And I would say making an educational game that is actually good, like EcoQuest titles are, is even harder than making a decent sequel to your Call of Duty or Assassins Creed. And, when all is said and done, the money in it might not be as big either. 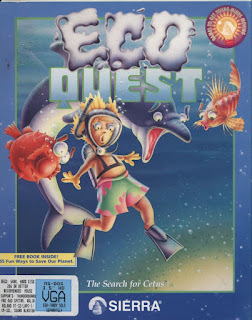 If you are interested in buying either of the EcoQuest titles, you are out of luck, as they are among the Sierra titles that don't have digital presentation anywhere. It is a shame, really, as both of them are pretty solid adventures on their own right. I'm not claiming them classics or forgotten gems, but as far point'n'click games, especially educational ones, go, you could do way worse.